Lakeside outdoor patio furniture sets truly bring the elegance and comfort of the indoors out, allowing yards or patios to become an elegant outdoor room. Designed by Peter Homestead, the Lakeside Sling Swivel Action Lounger features clean lines and generous seating surfaces to provide an elegant, yet rustic, charm. Lakeside Sling Swivel Action Lounger features Tropitone's durable sling fabric, especially designed for comfort and ease of maintenance. 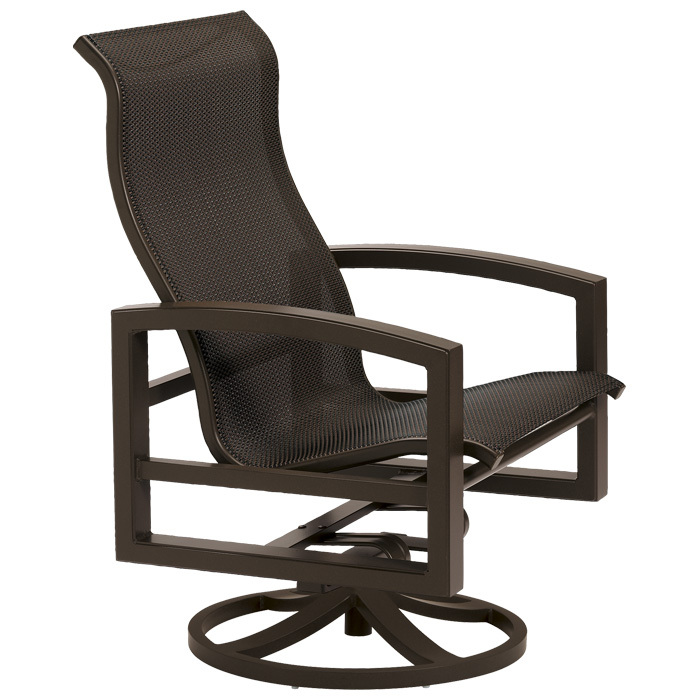 The Lakeside Sling Swivel Action Lounger invites you to relax and linger long after the sun has gone down.